Dubai: Azerbaijan community celebrates the birth of 10 millionth citizen of their country. According to a press relese by the Azerbaijan Consulate General in Dubai, a baby girl was born in Baku at 3:30am on April 6 - marking the 10 million population milestone for the country. The baby was born to an Azerbaijani couple, Rauf Hasanov and Nigar Ojaqova. She weighs 3.6 kg and is 52 cm tall. In terms of demographic development, Azerbaijan has become a leading country, not only among the former Soviet Union member nations, but also among most of European countries by the birth of its 10 millionth citizen. Continuation of positive demographic trends is one of the achievements of the country’s policy that is aimed at sustainable socio-economic development of the Republic of Azerbaijan. 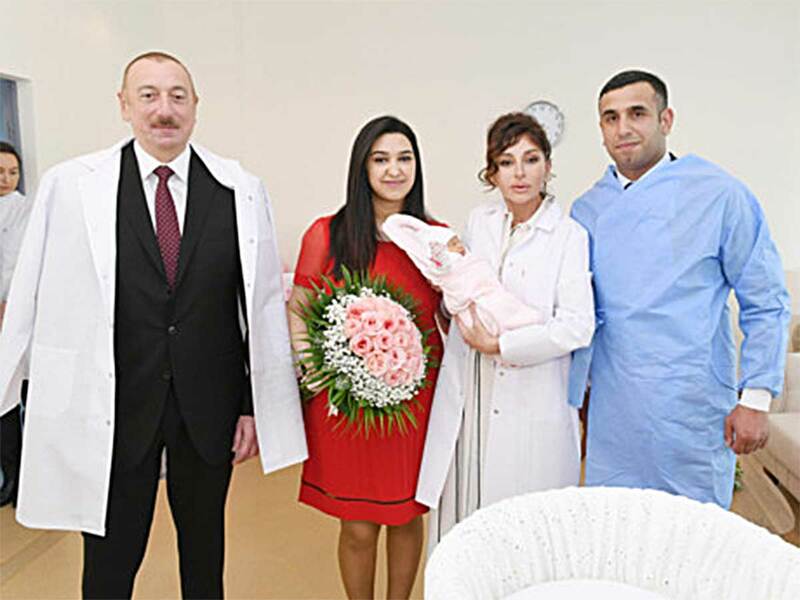 President of the Republic of Azerbaijan Ilham Aliyev and the first lady Mehriban Aliyeva have met the infant’s parents, congratulated them on this occasion and given the child their blessings. The President mentioned that the population of Azerbaijan is growing and remembered that the 9 millionth resident was born in 2010 and in 9 years, the population of Azerbaijan has grown by 1 million. Over the past 15 years, the population of Azerbaijan has increased by 1.7 million people. “It demonstrates that socio-economic development is underway in our country,” the President said. President Aliyev and first lady Mehriban Aliyeva also congratulated the people of Azerbaijan on this significant occasion. This historic event was widely celebrated in Azerbaijan with concerts, performances and fireworks.